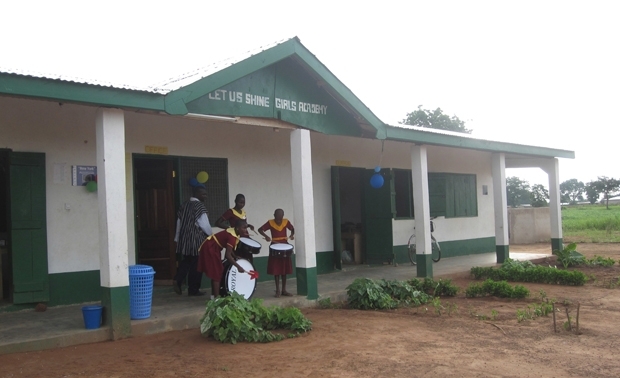 Let Us Shine is a non-profit Scottish Charitable Trust dedicated to help some of the poorest children and young adults in Ghana. Healthcare and health education set within a Christian ethos and employment. All children and young adults have the chance to excel in their studies and progress onto further education such as university or follow a skills based path with the aim of building a secure and successful future for themselves and their families. Our non-profit making charity was founded on the principle that every child has the right to an education, and through dedicated training programmes, each pupil can reach their full potential. To help achieve this, we use 98% of our fundraising to help children and young adults in Ghana. We are a relatively small charity, with no permanent members of staff in the UK. All of our funding and work comes from people like you helping in any way you can. If you would like to donate, become a volunteer or sponsor a child find out how you can support Let Us Shine here. Or you can find out about our staff and about our trustees. If you would like to speak to someone about Let Us Shine, please contact us.